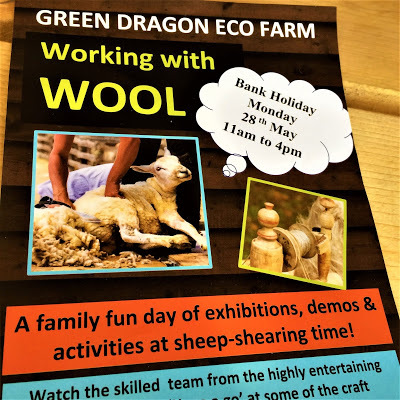 On Bank Holiday Monday, I was invited along with my fellow Feltmakers to Green Dragon Eco Farm. 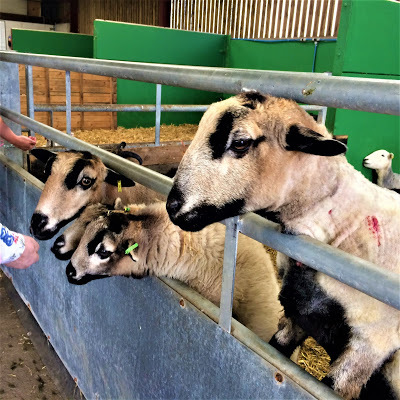 It’s was a joy to be part of Working with Wool. 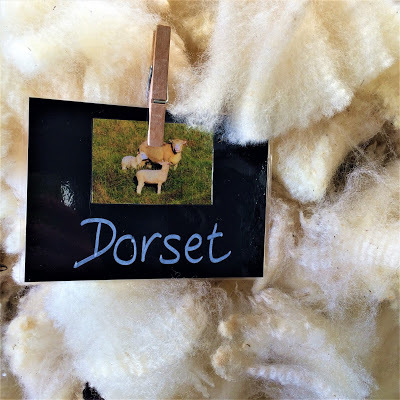 The venue had a huge hall filled to bursting with lots of spinning wheels, wet felting, a table loom and lots of beautiful wool art pieces (many of the artists will be participating soon in Bucks Arts Week). 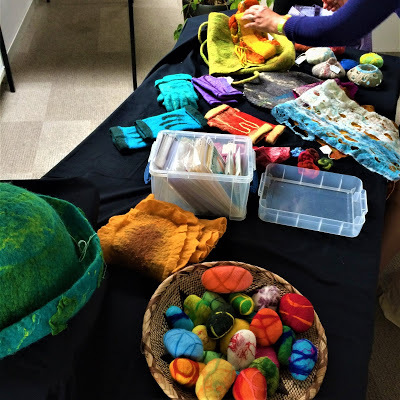 As part of the Feltmakers ‘team’, I was kept busy, setting up our stand and teaching wet felting ‘make-n-takes’, however, it wasn’t long before long I was distracted and started chatting to the other exhibitors – easily done! 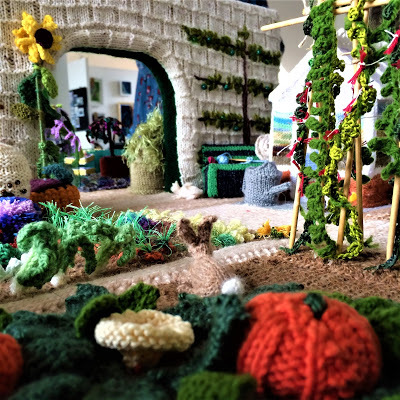 The hand knitters had brought along a stunning piece of work. A walled garden full of character. 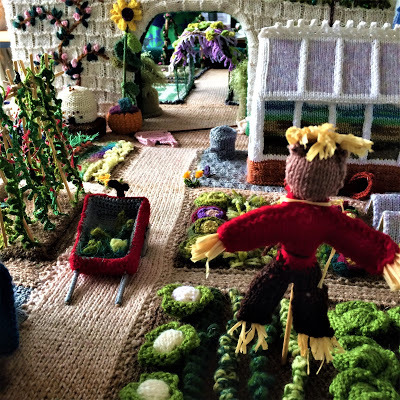 I loved the detail in the vegetable patches. 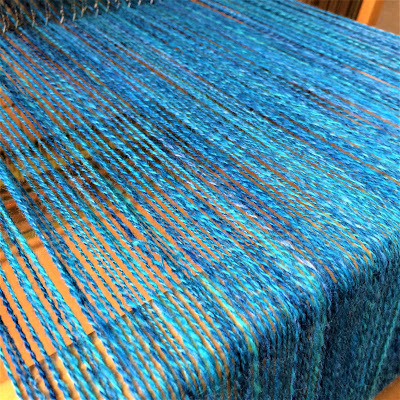 The Leclerc Voyageur Table Loom was a nice piece of kit, made of Canadian Maple, it looked stunning warped up in hand spun merino yarn. Lunchtime came around very quickly. 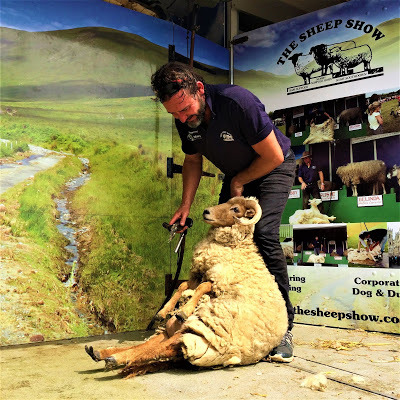 After a welcomed cup of tea, the glorious sunshine beckoned me outside where I discovered the Rare Breed sheep and the Shearers. 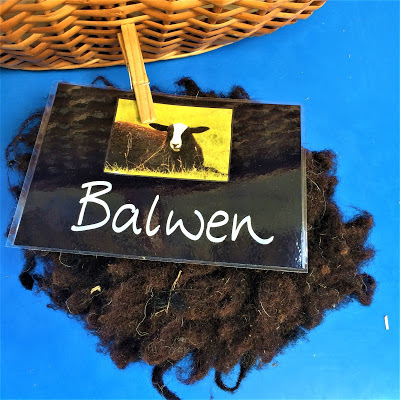 Already plenty of fleeces had been sheared and labelled. A huge variety from just one farm. The shearers were busy. They must have been baking in their little suntrap, clipping sheep one after another. 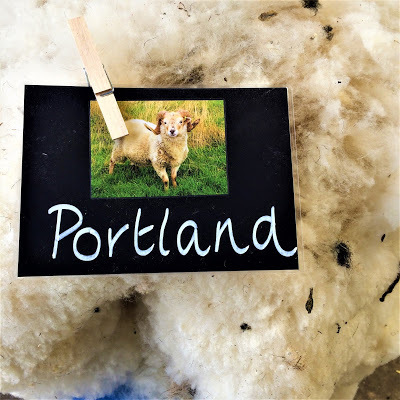 This sweet Portland sheep caught my eye because it’s perfect wool for felting! 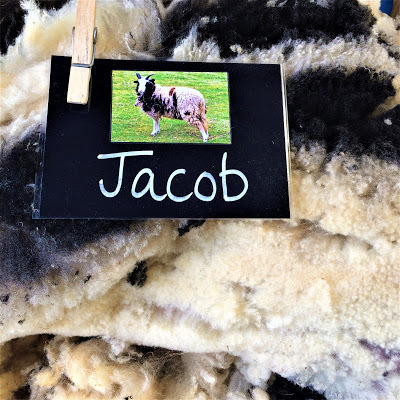 After he’d sheared it, he kindly rolled up the fleece for me to take home. I was given some more Rare Breed Fleece towards the end of the day! 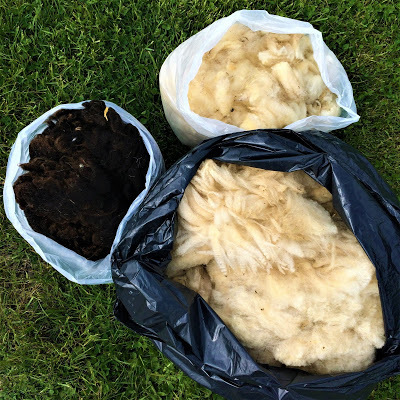 These bags of goodies hold many days of enjoyment; washing, carding, spinning, dyeing and felting these lovely fleeces. 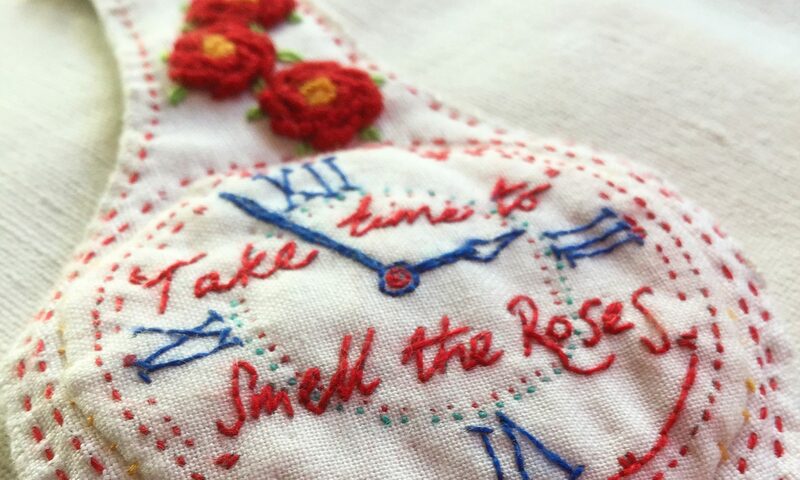 Lots to do, making pieces to show at the farm next year. 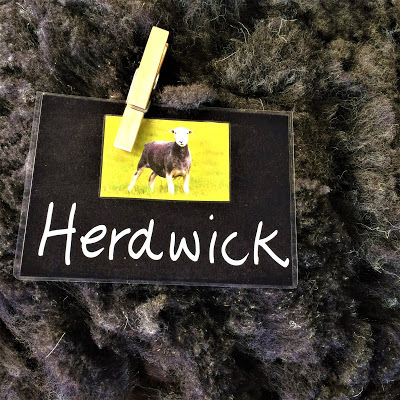 I always love working with wool – it’s one of my favourite activities. 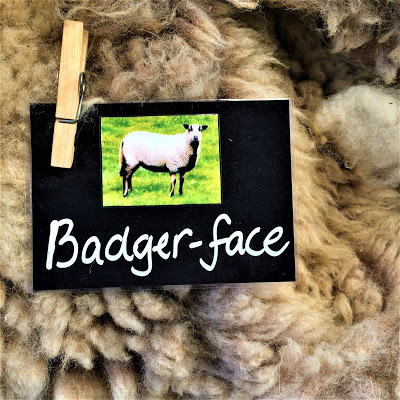 When I came home, I popped the kettle on and read up a bit more about Rare British Wool breeds and their uses. I hope you’ve enjoyed sharing my day. I’ve some super videos that I’ll share with you in another post soon.